Bioactive glasses (BAGs) of different compositions have been studied for decades for clinical use and they have found many dental and orthopaedic applications. Particulate BAGs have also been shown to have antibacterial properties. 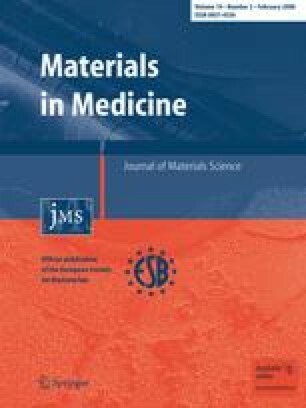 This large-scale study shows that two bioactive glass powders (S53P4 and 13–93) and a sol–gel derived material (CaPSiO II) have an antibacterial effect on 17 clinically important anaerobic bacterial species. All the materials tested demonstrated growth inhibition, although the concentration and time needed for the effect varied depending on the BAG. Glass S53P4 had a strong growth-inhibitory effect on all pathogens tested. Glass 13–93 and sol–gel derived material CaPSiO II showed moderate antibacterial properties.